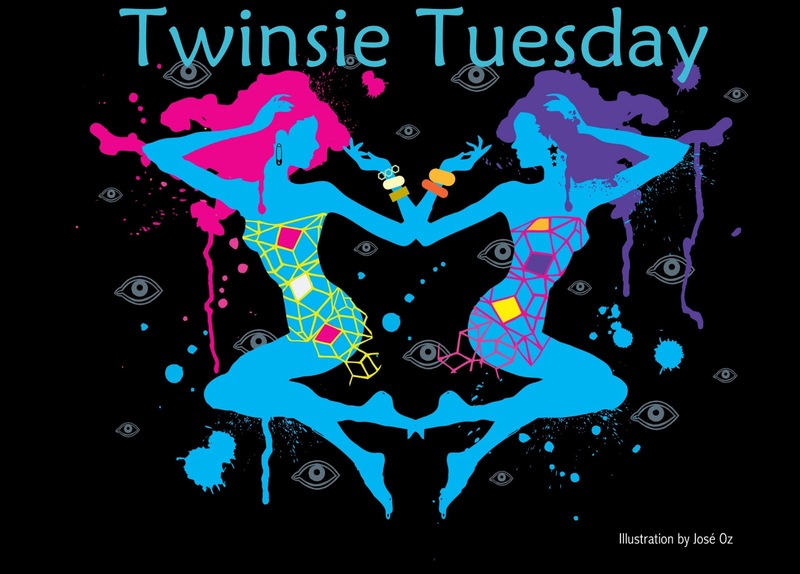 Polish and Charms: Twinsie Tuesday: Marching Orders Take 3! Twinsie Tuesday: Marching Orders Take 3! Hello! It's another Tuesday and we have another round of Marching Orders! My Orders came from Anne of the fabulous Grape Fizz Nails. My task was to do something 3D. Remember last week when I said I didn't have any rhinestones??? Well.......I was digging through some old craft stuff and I found them so I decided to use them! The base color is Pure Ice Siren. I'd been wearing it for 3 days before I did this! I added 3 crystal rhinestones for a little sparkle and the 3D effect. Enjoy! Don't forget to check out the other marching orders for today! Also, A big welcome to our newest twinsies! What a gorgeous red - so gorgeous - with and without the stones! I love this! So classy. I have yet to try rhinestones, I'm going to give it a go! This looks so classy! I haven't tried a rhinestone mani yet but it looks fun! Thanks! They are super cheap, but the quality is pretty great! That is one gorgeous red, and I love it with the rhinestones on top! Simple and pretty!! I like it ;0). this is so chic and classy, love it! I absolutely love this! That red is so stunning! 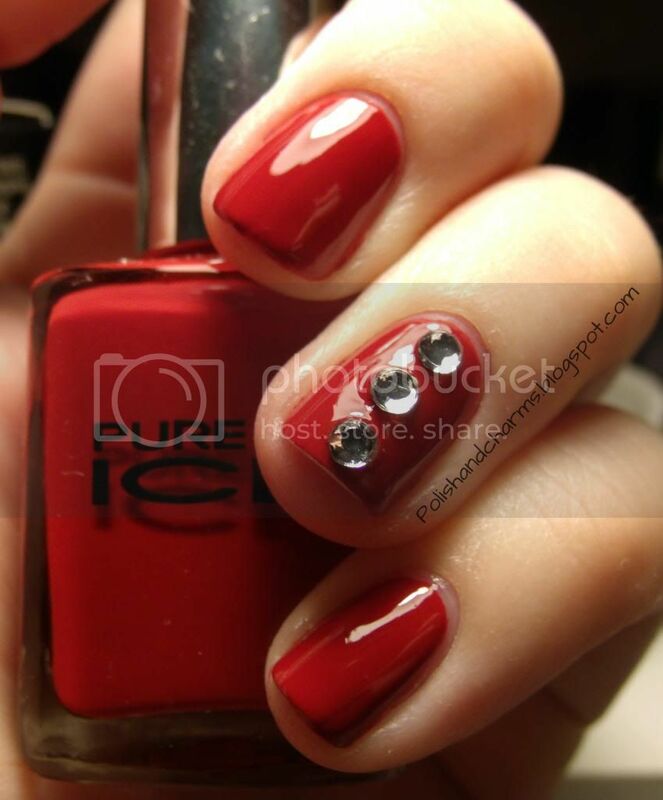 This red is perfect for those large rhinestones! I love this look over the red!